In today’s economy, sometimes you end up searching for the most affordable apartments out there. Here’s a list of great Denver-area apartment rentals with 2-bedroom units that cost under $700 per month. Windsor Court – 1090 South Parker Rd., Denver – $499 – 699 With studios, plus one- and two-bedroom units, Windsor Court is quiet and comfortable. It’s sort of like living in a park with lots of shade and well-landscaped grounds. There’s even a pond. Floor plans range from 465 – 900 square feet. One of my favorite features is that part of the pool is actually in the shade for those extra-sunny days. This community has many of the local amenities you’ll require located within half a mile, including restaurants, coffee, shopping, books, bars, and banks. 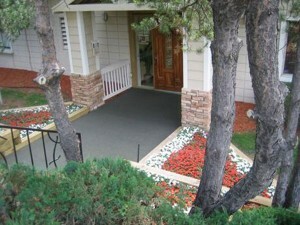 Aspen Green – 919 South Peoria Street, Aurora – $499 – 680 It’s easy to see why this apartment complex is so popular. They have indoor and outdoor pools (the huge indoor one is even heated), lots of parking, electric kitchens, deep, plush carpets, and the grounds are quite nice with leafy aspens and cherry trees that make each spring smell a little bit like heaven. Units here range from 440 – 850 square feet. Did I mention that there’s even a tennis court? The community is close to many things you’ll need, restaurants, coffee, a small grocery store, shopping, schools, parks, a bar, and a Chase ATM are all within half a mile from your new home. Lexington Park – 14052 East Iowa Dr., Aurora – $499 – 649 Great prices, a professional management team, and easy access to I-225 make Lexington Park a simple choice. Pets are accepted with restrictions, and there are 2 playgrounds. Unit size ranges from 560 – 860 square feet. Another great part of living here is the easy access to shops, restaurants, specialty storage, and parks. You won’t just be selecting an apartment when you move here; you’ll be selecting a neighborhood. The Village at Coronado – 1769 Coronado Parkway, Thornton – $495 – 685 These apartments range from 550 – 850 square feet and include a fitness center, soccer field, playground, and proximity to shopping and fine dining. Close to schools and just across the street from Rotella Park, this apartment complex regularly offers move-in specials or other discounts to help you transition into your new home. Just because you’re living on a budget doesn’t mean you can’t live in a nice apartment rental. Denver and its suburbs have some great 2-bedroom options for cost-minded people. How about you? Any luck finding affordable apartments in Denver? Comment below.